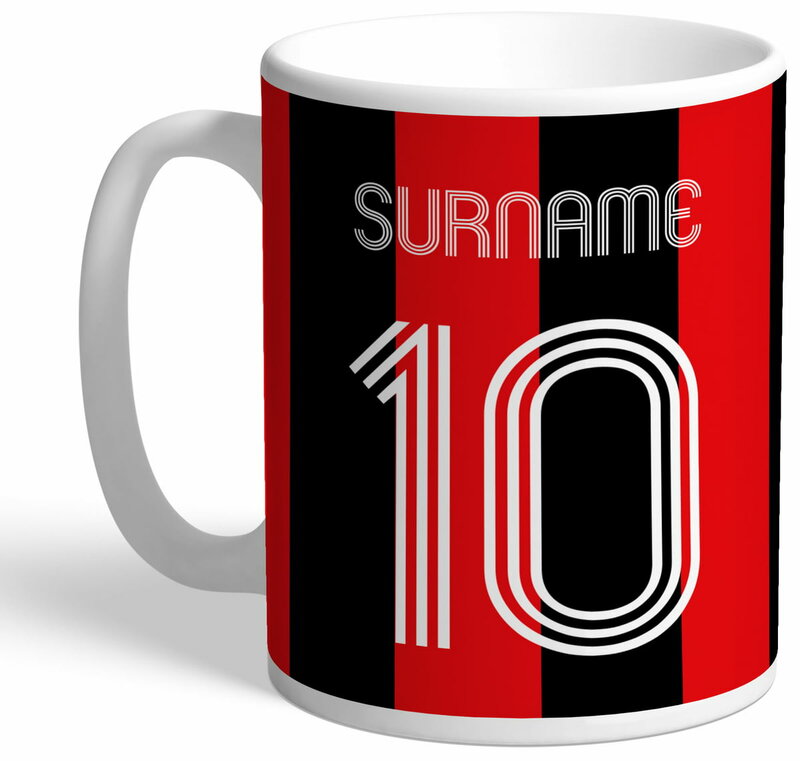 This truly stunning gift is sure to raise a smile as the recipient sees their personalisation on the Bournemouth Retro Shirt Mug. 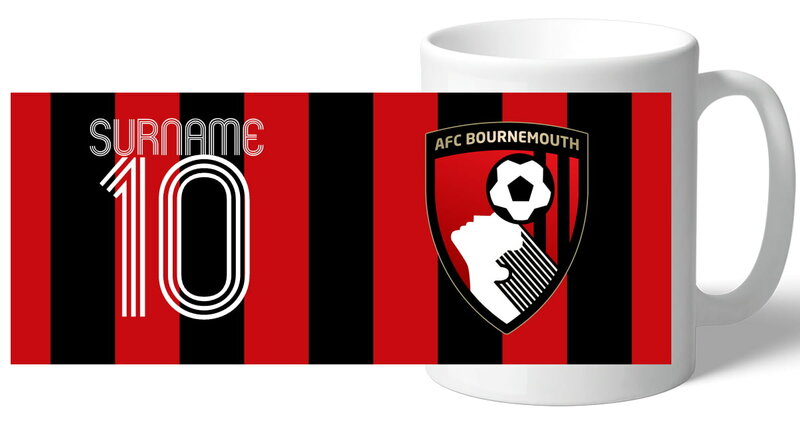 This Bournemouth Retro Shirt Mug makes an ideal gift for any occasion. One of our best-selling AFC Bournemouth gifts of all time, this personalised dressing room mug is the ultimate must-have for any AFC Bournemouth fan. This Bournemouth Retro Shirt Print is a fantastic gift for any occasion. This truly stunning gift is sure to raise a smile as the recipient sees their personalisation on the Bournemouth Evolution Mug. This is a fabulous present for any AFC Bournemouth fan and is approved and fully licensed by the club. This truly stunning gift is sure to raise a smile as the recipient sees their personalisation on the AFC Bournemouth Love Mug. This truly stunning gift is sure to raise a smile as the recipient sees their personalisation on the Bournemouth Stripe Mug.